In the world of real estate, it stands for “for sale by owner,” which means that the homeowners haven’t retained a real estate agent to help them sell their house. FSBO (pronounced “fizbo”) homes aren't sold in the same way as agent-sold houses—and the process will differ for home buyers, too. 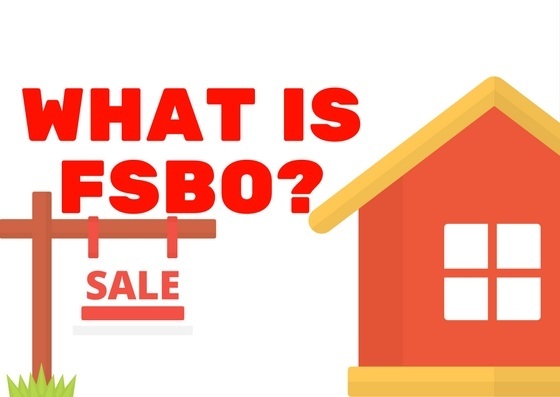 So if you find yourself interested in purchasing a FSBO home, here's what you need to know. Typically home sellers decide to go it alone for one primary reason: They want to save money. Home sellers, after all, pay the full real estate agent commission. Although commissions vary considerably, a typical commission totals about 6% of the home's sales price. So on a $500,000 home, the commission would amount to $30,000. This fee doesn't go entirely to the home seller's listing agent, however; it is typically evenly split between the listing agent and the buyer's agent (if a buyer has one). Home sellers might also attempt FSBO because they're in a hot market and think that the house will sell itself—although the process is rarely as simple as people think it will be (here are five reasons FSBO home sales fail). Where do you find FSBO houses? Finding FSBO homes can be a little trickier than other houses, because these sellers can't post their homes on the multiple listing service. Only licensed real estate agents can list homes on the MLS, which is a one-stop online shop of sorts for getting a house seen by thousands of agents and home buyers (who view a highly condensed and consumer-friendly version of MLS data on sites that aggregate this information, like realtor.com®). So, you’d have to look a little harder to find one of these homes, scouring the local newspaper or the real estate fliers that you’ll find around town, where the seller has paid to place an ad. There are also websites where sellers can pay to list their properties, but these sites don't get as many eyeballs as the MLS. This is certainly one of many good reasons why the majority of home sellers decide to employ the services of a listing agent rather than going it alone. Can I use a real estate agent to buy a FSBO home? You can—and should. It’s always in your best interest to have your own real estate representation, someone who is “on your side” and guiding you through the home-buying process. An agent will confirm, for instance, whether a home's price is reasonable, help you put together a convincing offer, and negotiate the inspection and other issues that might arise on the way to the closing table. But, that’s where the money thing comes up: If you're a buyer with your own real estate agent, he will still expect to be paid for his time and efforts on your behalf. However, since the home sellers are not using their own agent in order to save on that commission, who's to say they'll be willing to pay your own agent, either? 1. See if the home seller will cover the costs. Even if the home sellers have chosen to save money by not using an agent on their end, they likely realize that having a buyer’s agent comes with some perks in terms of a smooth transaction and may still gladly cover the “buy” side of the commission (which is typically evenly split, so the sellers will still save half). “Many private sellers are willing to cooperate with buyers’ agents to ensure the buyers are properly qualified to make the purchase and that the paperwork is handled correctly,” notes Deb Dawkins, a Realtor® with Coldwell Banker in Annapolis, MD. 2. Make the fee part of your offer. If the seller balks at paying the buyer’s agent’s commission, work with your agent to decide upon the fee and build that into the offer you make. Then, it will be paid from the proceeds at closing and not increase your costs, says Jim Lee, a Realtor with Re/Max by the Bay in Portsmouth, NH. What are the risks of buying a FSBO home? If you as the buyer are working with a real estate agent, the risks are minimal. But if you are not working with an agent yourself, beware. Often FSBO sellers price their homes a little high for the market, because they aren’t as well-versed on local comps as a real estate agent would be. You’ll also want to make sure to have a very thorough home inspection since you don’t have an agent on your side looking for common red flags. Finally, if neither side is using a real estate agent, it might be in your best interest to pay someone to help with the contract details. Look for a real estate attorney or a “transactional agent,” suggests Realtor Joanne Bernardini with BHHS Fox & Roach in Northfield, NJ. That’s a broker who acts as a neutral party to ensure the paperwork is legit. Still, if you buy a FSBO home, you should be warned that there may be risks, and prepare to do a lot more legwork yourself.